These plain biscuits are simple and easy to make, not to mention delicious, so they make a perfect lunch box treat to whip up on a relaxed weekend. Dainty, their light and fluffy texture also goes well with a cupe of tea or coffee. You can also top them with cream or ice cream to make a cute dessert! Prepare a baking tray by either lightly greasing it, or by layering a sheet of silver foil over its surface. Using silver foil saves on clean up (but adds a bit to waste), because all you have to do the sheet throw away, no washing required. 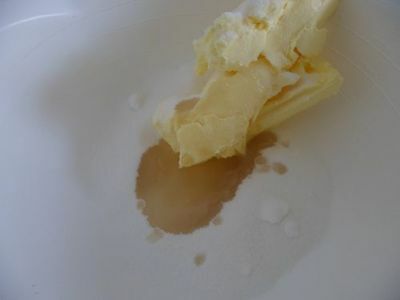 Place the butter, caster sugar, and vanilla essence in a mixing bowl. 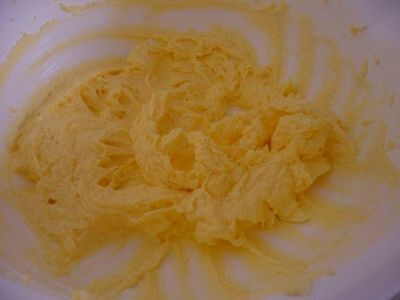 Beat with an electric mixer until completely combined and creamy. In a separate bowl, use a fork to lightly beat the egg. Add the egg to the butter and sugar mix and beat well for about 2 minutes. 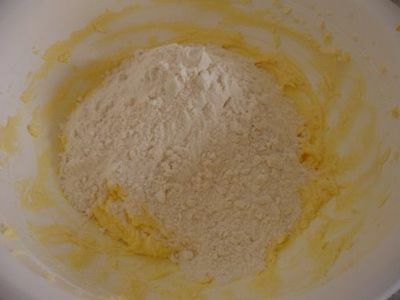 Switch the mixer off half way and scrape down the sides of the bowl to make sure all of the mixture is included. Sift the plain flour and baking powder, then add these to the main mixture. Beat until well mixed. Add the milk, and stir until just combined. 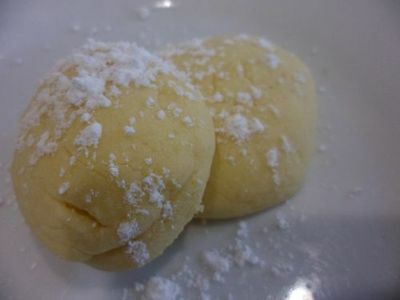 Take spoonfulls of the dough mixture into lightly floured hands and roll into balls. 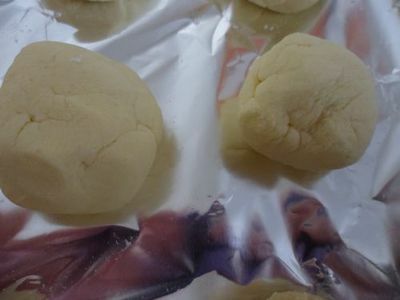 Place the dough balls onto the baking tray, about 2 centimeters apart. Bake for 12-15 minutes, or until lightly golden. If unsure, take out one of the biscuits and break it in half to test if it is just cooked through or not. To serve, sprinkle each biscuit with a light dusting of icing sugar. Store in an airtight container, ready for the week ahead or even as a takeaway on a picnic. Alternately, pack some biscuits in a snap lock bag for a quick treat during the day. Best Japanese bakery in Melbourne?